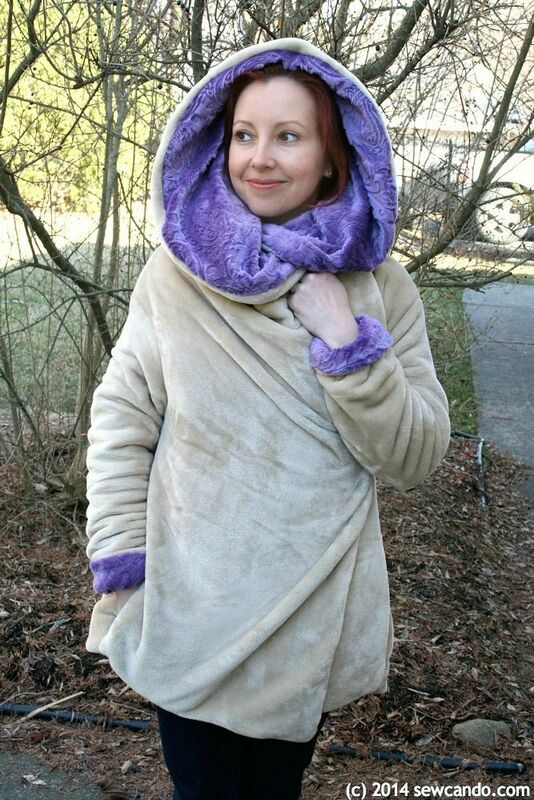 Looking for something to sew that is cuddly, comfy and guaranteed to keep you warm? 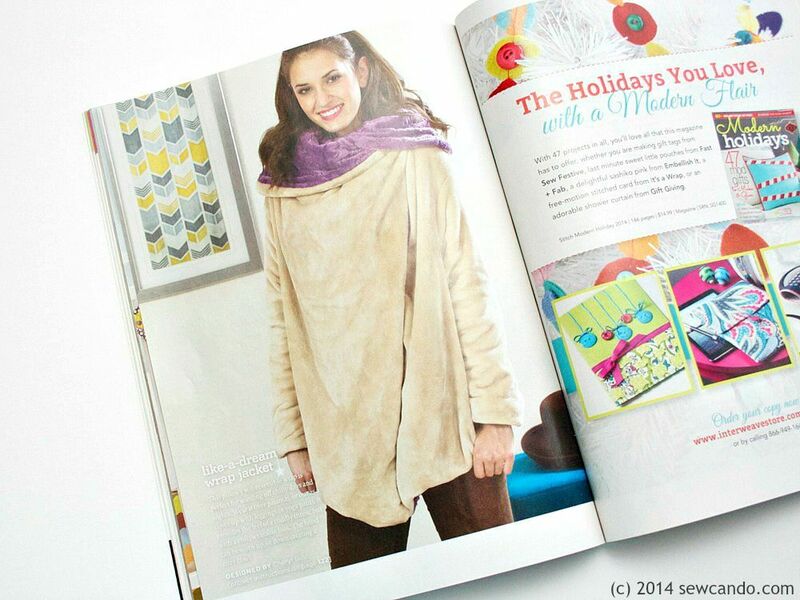 Check out my Like A Dream Reversible Wrap Jacket in the current Winter issue of Stitch Magazine! 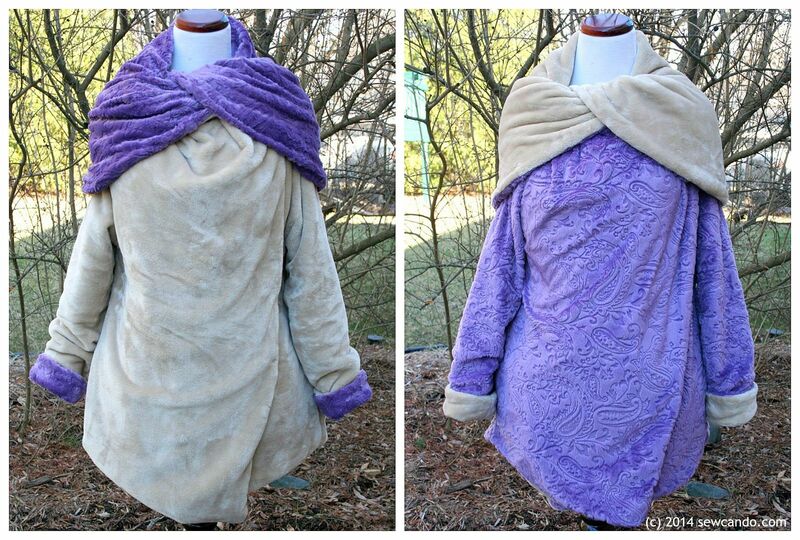 This pillowy soft wrap jacket is perfect for the boudoir and chilly days & nights. 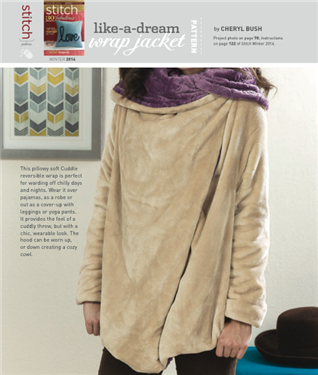 Wear over pajamas, use as a robe or as a toasty top layer with leggings or lounge pants. It's like wearing cuddly throw, but still having a stylish outfit on! By using plush Cuddle fabrics, it's ultra luxurious and comfortable - the feel is cloud soft. This is my go-to wearable for winter's chilly days. 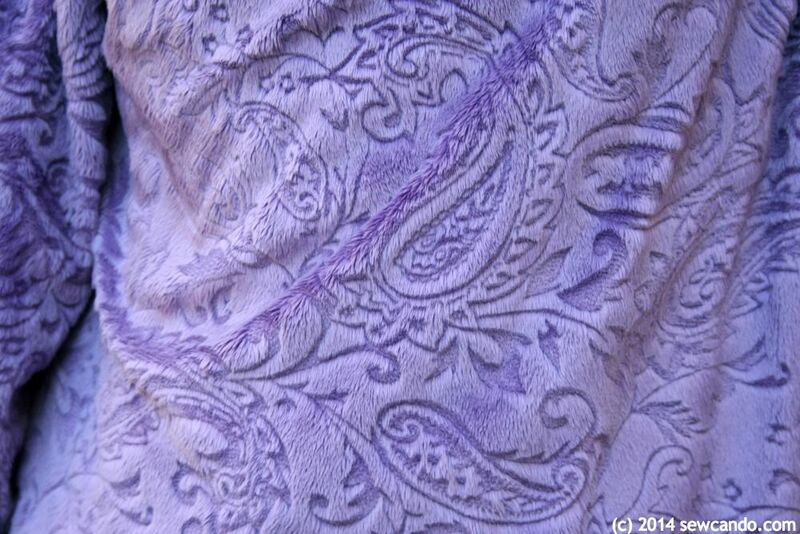 I used this dreamy Embossed Paisley Cuddle by Shannon Fabrics for mine. The jacket is fully reversible, and has the option to wear with the hood up for an ultra-snuggly effect or folded down as a cozy cowl. It also has side pockets (inside & out) and an easy to wear cross-front design to work with a variety of body shapes. My 5'0" petite self wore the one shown, as did the magazine model and my very obliging, not slightly built, 5'9" husband, plus several other women of varying size, so its one size really does fit just about everyone. 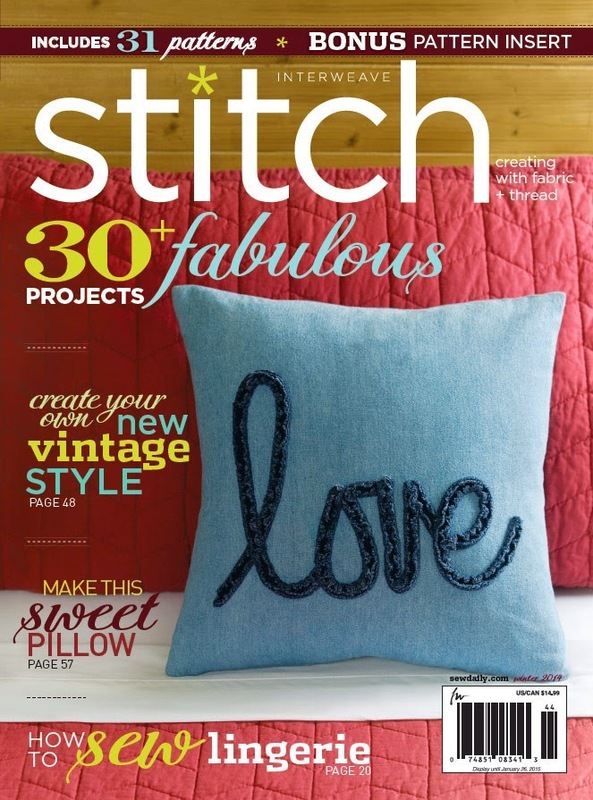 If you want to make your own, just get a copy of Stitch Magazine's Winter issue off your local newsstand or in craft stores, through the end of January. Or just shop the Interweave website here. FYI - You can find the downloadable pattern pieces on the Sew Daily site for free here, but you'll need the magazine for my full instructions and materials info for all the details to make one. So cool! I mean, WARM! :) Love that you are in a MAGAZINE!! Thanks Gina. It's definitely good for days like today (when it's so cold the schools are closed!). Wow!!! This is great Cheryl and it fits you nicely!